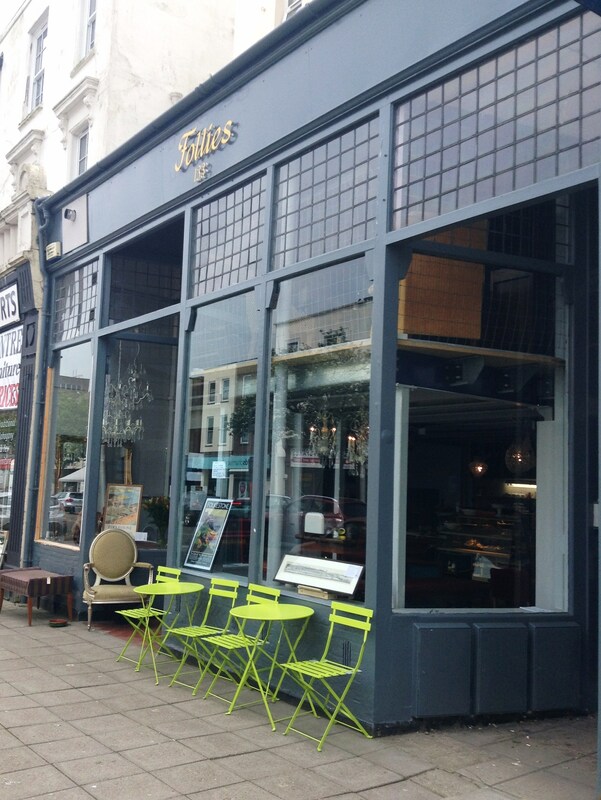 Sandgate Road in Folkestone has had a much needed boost with the opening of Follies, a new cafe/restaurant/awesome hangout. Filled with antique furniture and vintage knickknacks, all of which are for sale!, and with a great laidback vibe, I’m sure it won’t take long for Folkestonians to fall in love with this place. The building itself, which used to house a furniture shop, is a tardis with three floors of seating and what seems like an endless number of rooms. Despite the space, there is already a great community vibe and the array of seating options means you can bring a book and curl up on a sofa in a quiet corner, host a study group upstairs or enjoy a family breakfast in the window seat while you watch the world go by. Follies’ owner, Amy, sold her pub in London and moved down to the Kent coast to bring Folkestone something a bit different. Having opened a mere four weeks ago, there is a lot planned for the coming months including an expanded menu and a secret garden. Right now Follies is offering great coffee and a small selection of cold drinks as well as homemade cakes – I recommend you run over there get yourself a slice of the cherry cakewell right away! Besides caffeine hits and sweet treats, there are a variety of colorful salads and cold mains which greet you from the glass refrigerator cabinet as you walk in. There was asparagus with prosciutto and crème fraîche, mustard roast beef with parsley and smoked mackerel salad with green beans and hazlenuts among several others. The prices vary from £4.50 for the beetroot salad to £9.50 for the roast beef and a choice of two salads. The menu also features two things that really float my boat: a cheese selection (£6) and a charcuterie selection (£6.50). 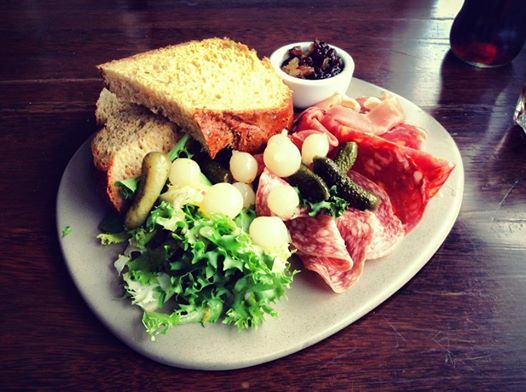 We went for the charcuterie and enjoyed three slices each of salami, chorizo and prosciutto and to offset the meats there was a salad tossed in a tasty vinaigrette, silver skin onions, cornichons and an out of this world chutney. On the side was some delicious doorstop brown bread. I was impressed with the variety and sophistication of the food on offer, especially after I found out Amy makes it all herself in a tiny kitchen! The full kitchen is in progress and with it will come an expanded menu which will include the famous Folkestone pop up That Burger, Sunday roasts and maybe even a supper club (hopefully hosted by yours truly if I can swing it!). In the meantime though, it’s definitely worth stopping by for a bite at lunchtime or a special weekend snack. 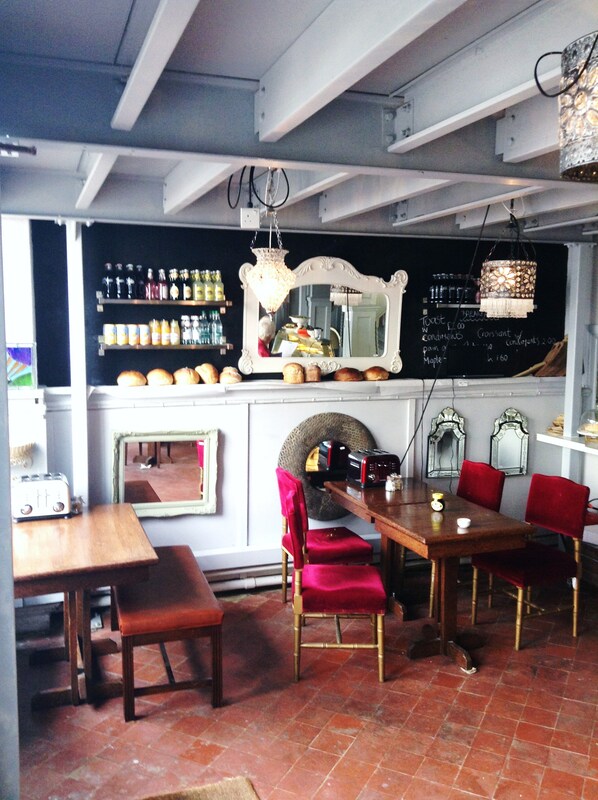 As well as the fresh and inviting food options, Follies is the only venue I know of in Folkestone with a BYOB policy. With corkage charges of £4 per bottle of wine and £1 per beer, I think it’s probably safe to say this will be the most reasonably priced place to have a drink in Folkestone – and you know there will always be something you like on offer because you’ll be the one bringing it! Once the kitchen is up and running and the courtyard is available for use there are plans to extend the opening hours and become a day and evening destination. With friendly staff, thoughtful food and great coffee, Follies already has what it needs to be a success. But with all of this as well as ambitious and innovative ideas from the woman steering the ship, I’m positive that it’ll become a Folkestone institution in no time. Looks like a nice addition with reasonable prices. From the outside, it looks almost exactly like Rich Table in San Francisco. Let’s hope I get to host a supper club there that is even half as successful as Rich Table!